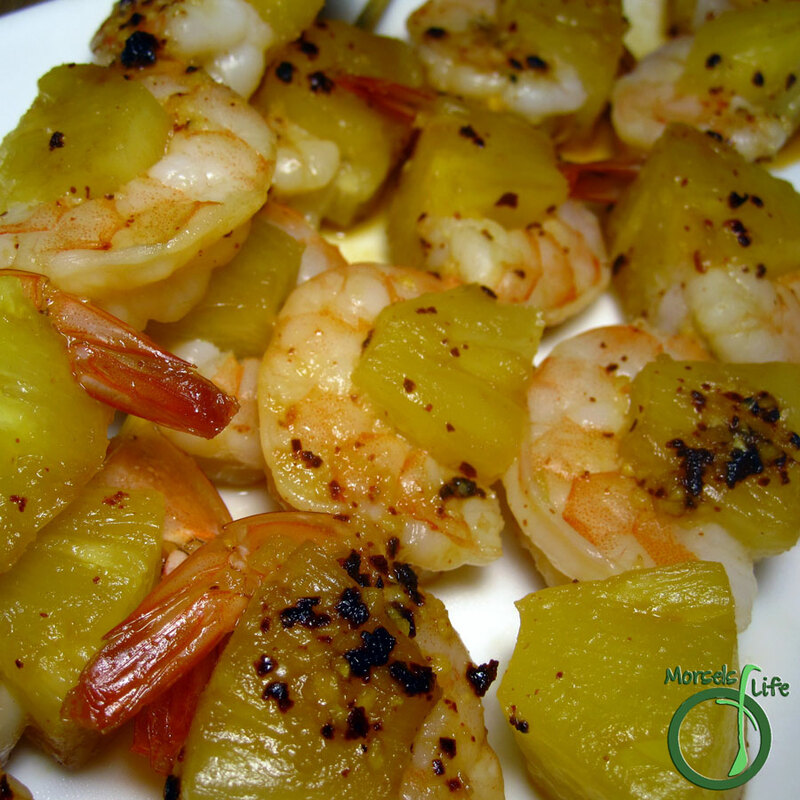 Try these pineapple shrimp kabobs - shrimp and sweet pineapple balanced with just a bit of spice. Combining some recent sales on pineapple and shrimp with our desire to eat more seafood, I thought I'd make some pineapple shrimp kabobs. As with most dishes, I opted for quick and easy. You could go even easier just cooking up the shrimp in a pan, but eating these pineapple shrimp off a skewer is just more fun! I opted to make these pineapple shrimp skewers in a pan (grills banned at the apartment) :(, but don't let me stop you from grilling your skewers! What's your favorite thing to eat on a skewer? Skewer the shrimp with a piece of pineapple in between. Cook about 2-3 minutes on each side, until the shrimp turn opaque. If you still have a lot of liquid left, you can reduce it and use it as a sauce.